Total Carat Weight: 1.02 ct. 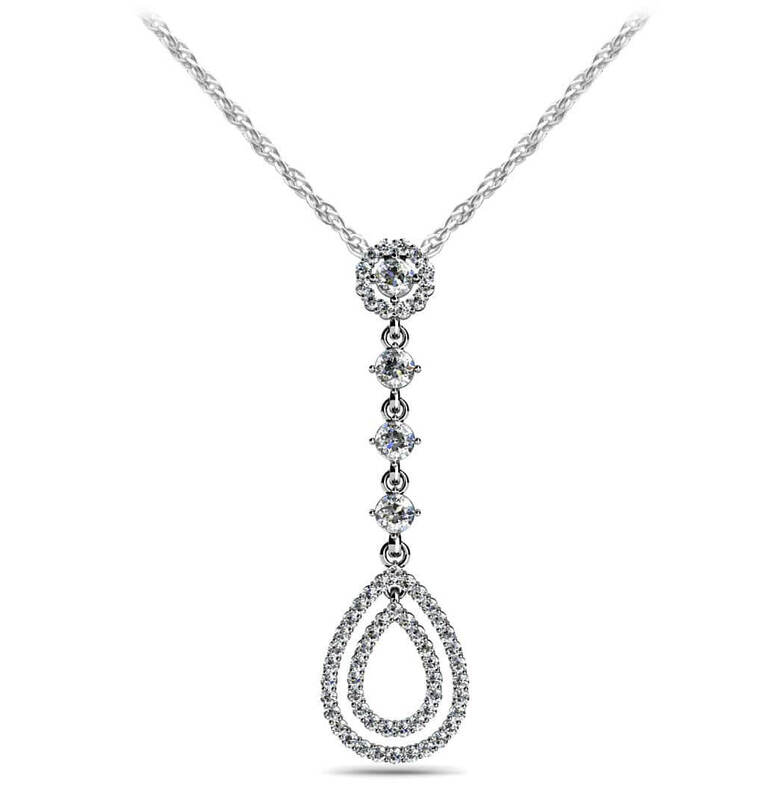 This expertly designed diamond pendant exudes elegance. Take your outfit to the next level wearing this stylish necklace with an amazing dress or suit. 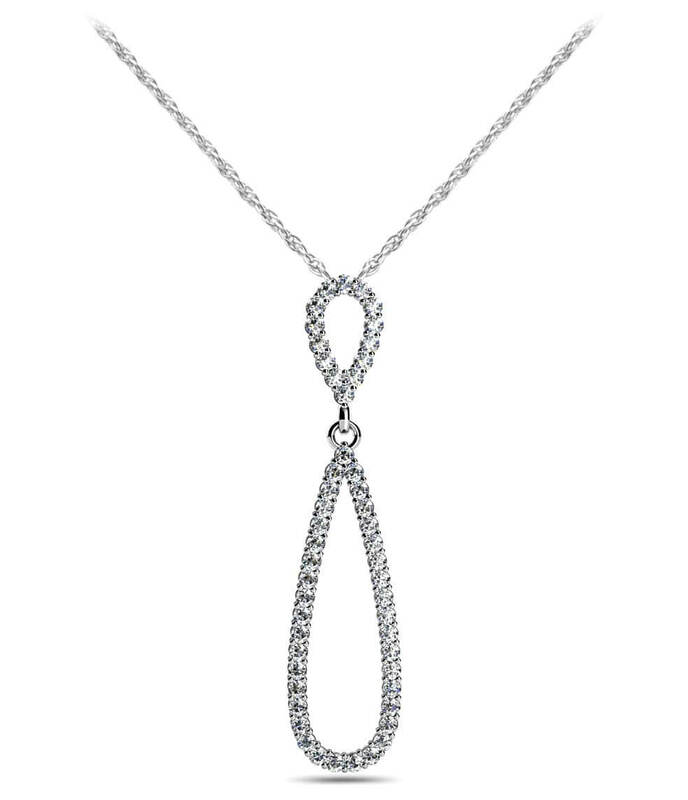 Customize this pendant by choosing white gold, yellow gold or platinum and either the 1 ct or 1.46 ct version. 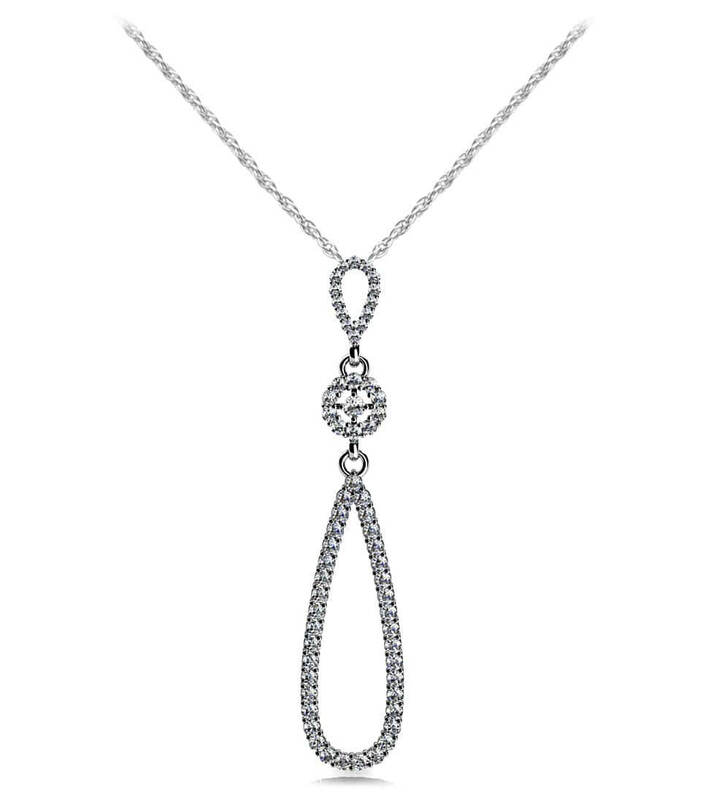 This pendant matches perfectly with the Designer Double Drop Diamond Earrings (SE31-C). Stone Carat Weight: 48X0.007 ct., 12X0.010 ct., 4X0.140 ct.